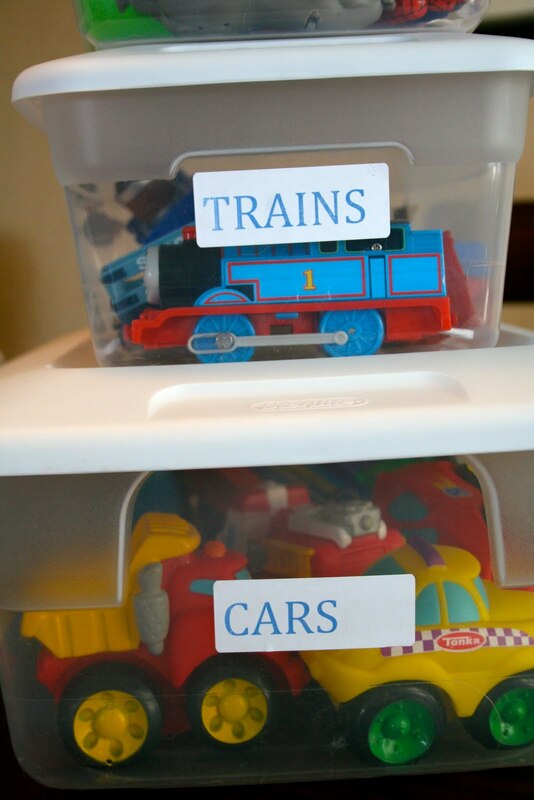 Instead of having a couple big totes filled with all of Max's toys. 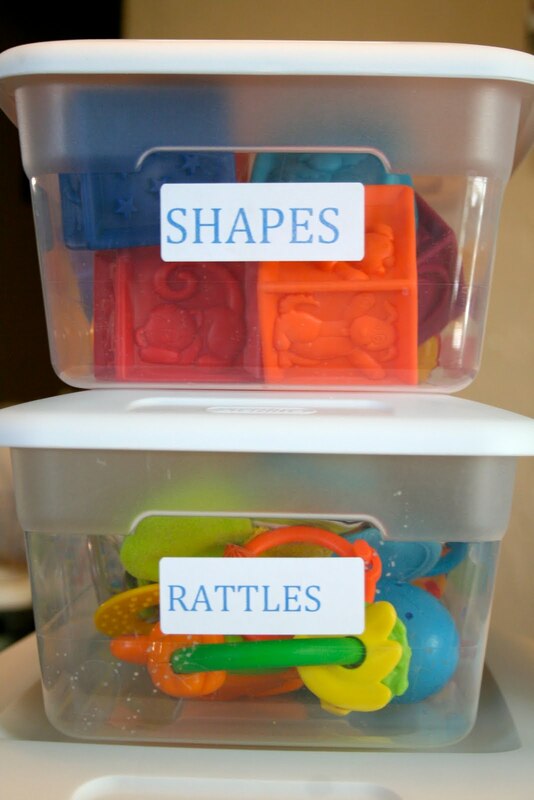 I have separated them into separate bins by categories. This has been so wonderful! I give Max one tote to play with at a time. When I think he's done playing with a certain tote. I clean up all the toys and put them back into the tote and pull out another one. This has worked out so well for us! Max loves to play with the tote themselves too! He loves to take the toys out and then put them back in. He plays great with this new system. This makes things so much nicer. Now I don't have so many toys everywhere. Max still likes to spread them out everywhere but it's not as bad and clean-up is easy. It also makes it a lot easier to sanitize everything. I just do one individual tote at a time. It helps me to not feel so overwhelmed by toys! Now Max plays with one thing at a time. I love it! It also makes it easier to see what he actually likes to play with. I just keep rotated the bins through out the day for him to play with. Even daddy is loving this new system. All though, yesterday, he did mix up a few of the toys and put them in the wrong tote. I then had to yell a lot and hopefully, he wont be doing that anymore. ;) lol! This is awesome!! I love this idea!! Thanks for sharing! Ammie, when my kids got big enough to have clean-up time but couldn't read yet I would add a picture label on each tote so that they could tell what toys went where! PS good luck getting Daddy trained!! I would love to do that. I have thought about it, but having so many toys would require me to get a lot of buckets and a lot of space to put them in where the kids couldn't reach. I can dream though. Soo glad to know it works for you. This has nothing to do with the toy post, but as I was checking out your blog, Ammon walked up and said,"Hi Aunt Ammie. Hi Max," as he looked over my shoulder. Thought you should know. thats why i love ya babe!!! Tori- That's a great idea with the pictures. thanks! Taun- Tell Ammon "hi" for us. and give all those cute kids over there lots of xoxoxoxoxo!! Shaun- What do you love? That I yell at you? lol! !